When you have a citizen of your own country fly to Iraq or Syria with the intention to fight for Islamist terrorists, what do you do? Well in the USA, Senator Ted Cruz (R, TX) wants them stripped of their American citizenship. The Senate could move to strip Americans fighting alongside Islamic State of Iraq and Levant (ISIL or ISIS) of their U.S. citizenship under a new bill set to be introduced next week by Sen. Ted Cruz (R., Texas), according to a source close to the senator’s office. With intelligence reports indicating that up to 100 Americans could be fighting with ISIL and similar terror groups in the Middle East, Cruz and other lawmakers have warned that current U.S. regulations do not prevent these American passport holders from slipping back into the United States, where they would pose a significant terror risk. Cruz intends to file the Expatriate Terrorist Act (E.T.A.) 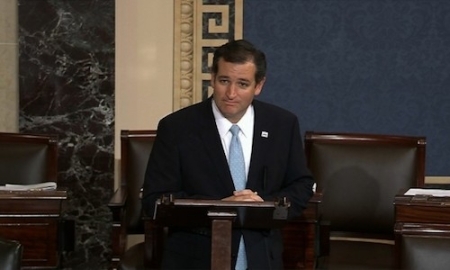 on Monday when the Senate is called back into session following its summer recess, according to the Cruz source. Any American who goes to a foreign country to fight for any government or organization that proclaims itself to be an enemy to this country should be stripped of citizenship. Muslim or otherwise, they are traitors to this nation. Ted Cruz is 100% right on this.